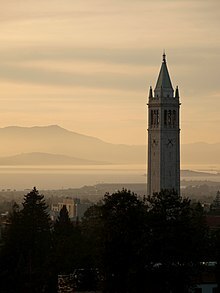 Notable individuals who were born in and/or have lived in Berkeley include actors Ben Affleck and Andy Samberg, Billie Joe Armstrong, lead singer of Green Day, and rapper Lil B. ^ a b "Population and Housing Unit Estimates". Retrieved Nov 27, 2018. ^ Zahniser, James Queally, Paige St John, Benjamin Oreskes, David. "Violence by far-left protesters in Berkeley sparks alarm". latimes.com. Retrieved 2018-04-15. ^ "Heavy Police Presence Keeps Berkeley Coulter Protests Peaceful". 2017-04-27. Retrieved 2019-03-04. ^ "People's Park protesters arrested by UC Berkeley police before removal of trees". 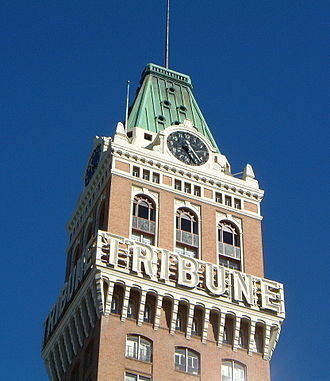 The Mercury News. 2019-01-15. Retrieved 2019-03-04. ^ a b c Mitchell, Don (1992-03-01). "Iconography and locational conflict from the underside: Free speech, People's Park, and the politics of homelessness in Berkeley, California". Political Geography. 11 (2): 152–169. doi:10.1016/0962-6298(92)90046-V. ISSN 0962-6298. ^ Mitchell, Don, Heynen, Nik (16 May 2013). "The Geography of Survival and the Right to the City: Speculations on Surveillance, Legal Innovation, and the Criminalization of Intervention". Urban Geography. 30 (6): 611–632. doi:10.2747/0272-3638.30.6.611 – via Taylor & Francis Online. ^ "1950s '60s Counterculture, Feb 9 2017 | Video | C-SPAN.org". 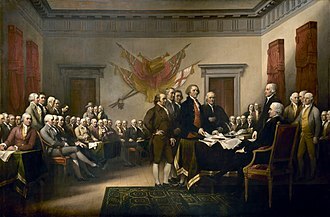 C-SPAN.org. Retrieved 2018-04-27. ^ "EveryOne Counts! 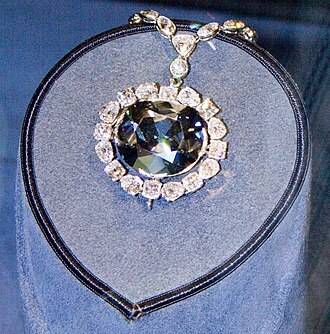 | EveryOneHome.org". everyonehome.org. Retrieved 2018-05-10. ^ a b c d e f Williams-Ridley, Dee (25 July 2017). "2017 Berkeley Homeless Point-In-Time Count and Survey Data". ^ Williams-Ridley, Dee (25 July 2017). "2017 Berkeley Homeless Point-In-Time Count and Survey Data". 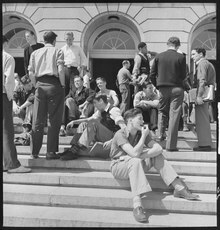 ^ "Records Online - City of Berkeley, CA". 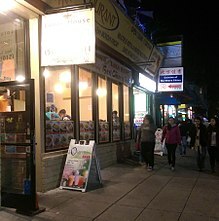 www.cityofberkeley.info. Retrieved 2018-05-10. ^ Mitchell, Don (March 1995). "The End of Public Space?People's Park, Definitions of the Public, and Democracy". Annals of the Association of American Geographers. 85 (1): 108–133. doi:10.1111/j.1467-8306.1995.tb01797.xa#aHR0cDovL3d3dy50YW5kZm9ubGluZS5jb20vZG9pL3BkZi8xMC4xMTExL2ouMTQ2Ny04MzA2LjE5OTUudGIwMTc5Ny54YT9uZWVkQWNjZXNzPXRydWVAQEAw (inactive 2019-02-16). ^ "Economic Development and Employment Element". General Plan. City of Berkeley. Retrieved 19 April 2017. 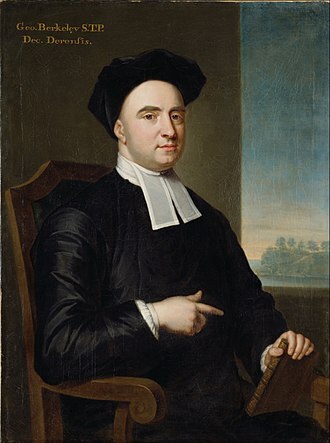 ^ Massara, G. Haley (18 June 2014). "Berkeley City Council moves to limit abundance of large drugstores". Daily Californian. Retrieved 19 April 2017. ^ "Berkeley City Council's historic offer: Take a seat, Cal". 2013-08-22. 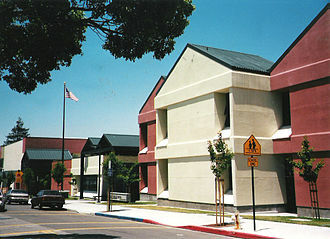 ^ Alameda County. "District Lookup Search". www.acgov.org. Retrieved 2019-02-09. 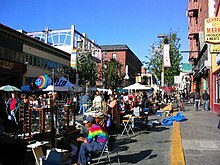 ^ "City of Berkeley Sister Cities". City of Berkeley. Retrieved 19 April 2017. 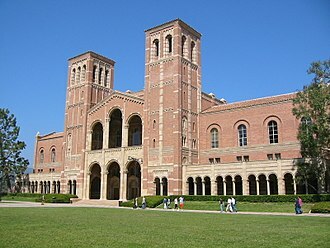 The University of California is a public university system in the U. S. state of California. 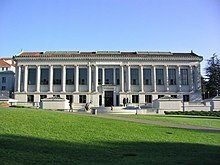 The University of California was founded in 1868 and operated temporarily in Oakland until opening its first campus in Berkeley in 1873 and its tenth and newest campus in Merced opened in fall 2005. 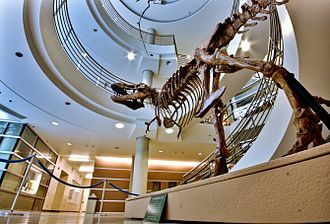 Nine campuses enroll both undergraduate and graduate students, one campus, UC San Francisco, enrolls only graduate and professional students in the medical and health sciences. 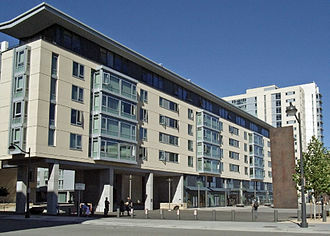 In addition, the UC Hastings College of Law, located in San Francisco, is affiliated with UC. 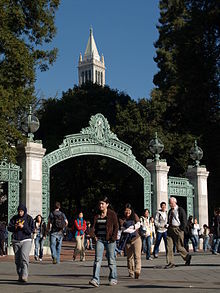 The University of Californias campuses have large numbers of distinguished faculty in almost every academic discipline, as of 2016, UC faculty and researchers have won 62 Nobel Prizes. 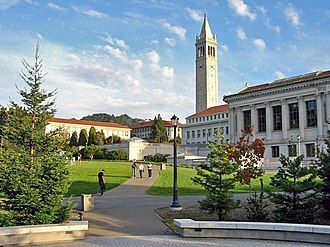 UC campuses are perennially ranked highly by various publications, internationally, UC Berkeley, UCLA, and UC San Diego are respectively ranked 3rd, 12th, and 14th worldwide by Academic Ranking of World Universities. 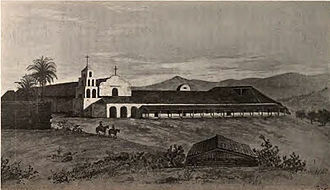 In 1849, the state of California ratified its first constitution, taking advantage of the Morrill Land-Grant Acts, the California Legislature established an Agricultural and Mechanical Arts College in 1866. 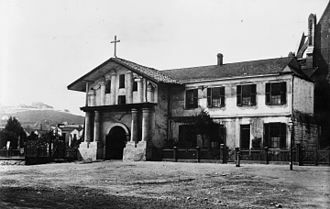 However, it existed only on paper, as a placeholder to secure federal land-grant funds, Congregational minister Henry Durant, an alumnus of Yale, had established the private Contra Costa Academy, on June 20,1853, in Oakland, California. The initial site was bounded by Twelfth and Fourteenth Streets and Harrison, the Colleges trustees and supporters believed in the importance of a liberal arts education, but ran into a lack of interest in liberal arts colleges on the American frontier. 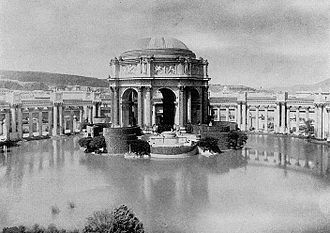 In November 1857, the Colleges trustees began to acquire parcels of land facing the Golden Gate in what is now Berkeley for a future planned campus outside of Oakland. But first, they needed to secure the Colleges water rights by buying a farm to the east. In 1864, they organized the College Homestead Association, which borrowed $35,000 to purchase the land, the Association subdivided the latter parcel and started selling lots with the hope it could raise enough money to repay its lenders and create a new college town. But sales of new homesteads fell short, at the College of Californias 1867 commencement exercises, where Low was present, Benjamin Silliman, Jr. criticized Californians for creating a state polytechnic school instead of a real university. 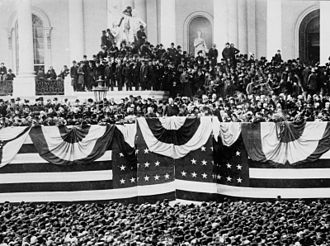 That same day, Low reportedly first suggested a merger of the already-functional College of California with the state college. 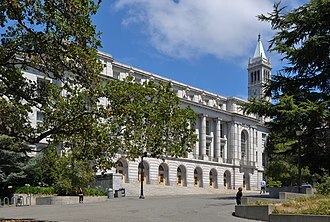 The University of Californias second president, Daniel Coit Gilman, opened its new campus in Berkeley in September 1873, earlier that year, Toland Medical College in San Francisco had agreed to become the Universitys Medical Department, it evolved into UCSF. 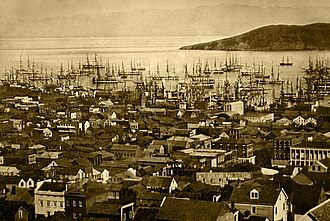 In 1878, the University established Hastings College of the Law in San Francisco as its first law school, the California Constitution was amended to designate Hastings as the Law Department of the University of California in consideration of a $100,000 gift from Serranus Clinton Hastings. 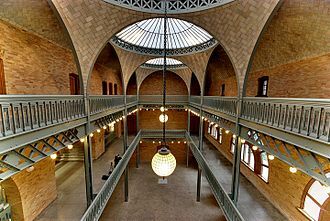 Hastings is the only UC campus not governed by the Regents of the University of California, in August 1882, the California State Normal School opened a second school in Los Angeles to train teachers for the growing population of Southern California. 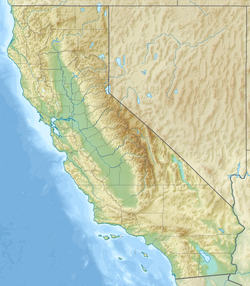 Alameda County is a county in the state of California in the United States. 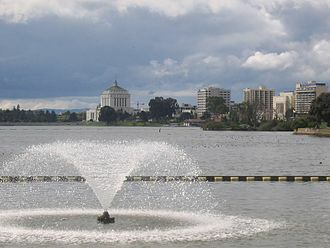 As of the 2010 census, the population was 1,510,271, Alameda County is included in the San Francisco Bay Area, occupying much of the East Bay region. 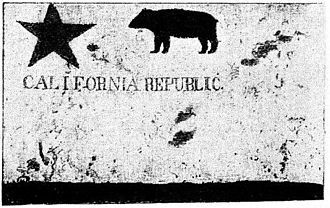 The county was formed on March 25,1853, from a portion of Contra Costa County. The Spanish word alameda means a place where trees grow. 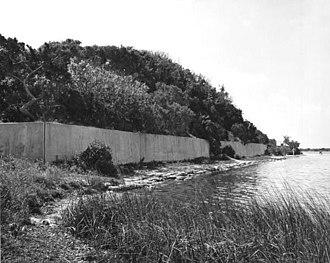 The willow and sycamore trees along the banks of the river reminded the early explorers of a road lined with trees, the county seat at the time it was formed was located at Alvarado, now part of Union City. In 1856 it was moved to San Leandro, where the county courthouse was destroyed by the devastating 1868 quake on the Hayward Fault, the county seat was re-established in the town of Brooklyn from 1872-1875. 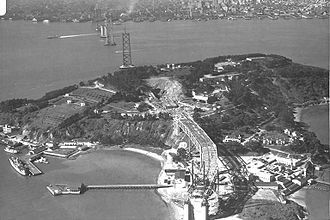 Brooklyn is now part of Oakland, which has been the county seat since 1873, much of what is now considered an intensively urban region, with major cities, was developed as a trolley car suburb of San Francisco in the late 19th and early 20th centuries. The annual county fair is held at the Alameda County Fairgrounds in Pleasanton, the fair runs for three weekends from June to July. Attractions include horse racing, carnival rides, 4-H exhibits, according to the U. S. Census Bureau, the county has a total area of 821 square miles, of which 739 square miles is land and 82 square miles is water. 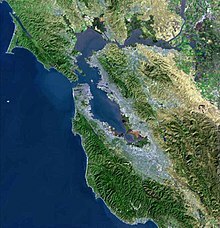 The San Francisco Bay borders the county on the west, the crest of the Berkeley Hills form part of the northeastern boundary, and reach into the center of the county. 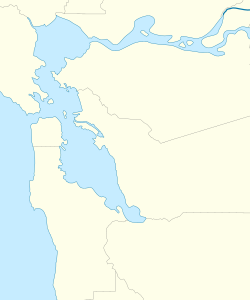 A coastal plain several miles wide lines the bay, and is Oaklands most populous region, Livermore Valley lies in the eastern part of the county. 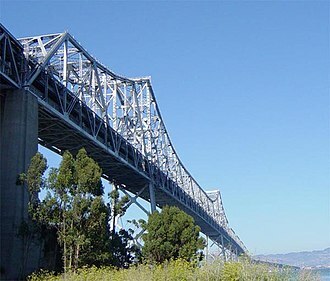 Don Edwards San Francisco Bay National Wildlife Refuge A2014 analysis found Alameda County to be the 4th most racially diverse county in the United States, the 2010 United States Census reported that Alameda County had a population of 1,510,271. 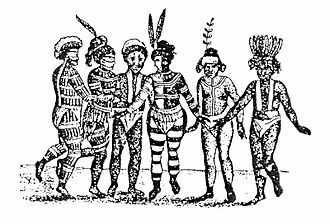 The population density was 2,047.6 people per square mile, Hispanic or Latino of any race were 339,889 persons,16. 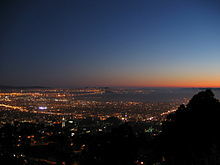 The Berkeley Hills are a range of the Pacific Coast Ranges that overlook the northeast side of the valley that encompasses San Francisco Bay. 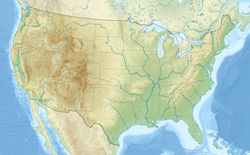 They were previously called the Contra Costa Range/Hills, but with the establishment of Berkeley and the University of California, the Berkeley Hills are bounded by the major Hayward Fault along their western base, and the minor Wildcat fault on their eastern side. 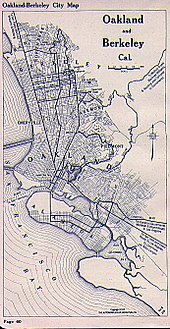 The highest peaks are Vollmer Peak, Grizzly Peak and Round Top, an extinct volcano, Vollmer Peak was named for the first police chief of the City of Berkeley, August Vollmer. It was formerly known as Bald Peak, from the top on a clear winter day Davis and the snowy Sierra are visible. Much of the west slope of the Berkeley Hills has residential neighborhoods of single family homes. Most streets are narrow and tend to follow the contours of the land, other roads to the ridgeline wind their way up the canyons. Grizzly Peak and Skyline Blvds follow the top of the ridge, the east slope of the Berkeley Hills is mostly preserved or partially developed wildland, much of it owned by the East Bay Regional Park District and the East Bay Municipal Utility District. Claremont Canyon Regional Preserve, and Temescal Regional Park are lower on the western slopes while Las Trampas Regional Wilderness is lower on the slope above Danville. 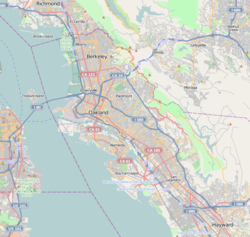 The Berkeley Hills are pierced by several tunnels, two are aqueducts of EBMUD, the Berkeley Hills Tunnel serves the Pittsburg/Bay Point–SFO/Millbrae line of the Bay Area Rapid Transit system. The four bores of the Caldecott Tunnel carry State Highway 24 between Oakland and Contra Costa County and it is common to hear the term, Oakland Hills to refer to that section of the Berkeley Hills that runs along the east side of Oakland. In colloquial usage, the Oakland hills are south of Claremont Avenue or Highway 24, as a proper name or recognized toponym, it is technically incorrect. When used on maps, the south end of the Berkeley Hills is unclear. It does not, in any case, correspond to any political boundaries, the ridge extends south through Oakland and San Leandro to the drainage of San Leandro Creek called Castro Valley, and geologically, continues southward above the line of the Hayward Fault. Buffy Jo Christina Wicks is an American political strategist. She previously served on the staff of President Obamas 2008 and 2012 campaigns. 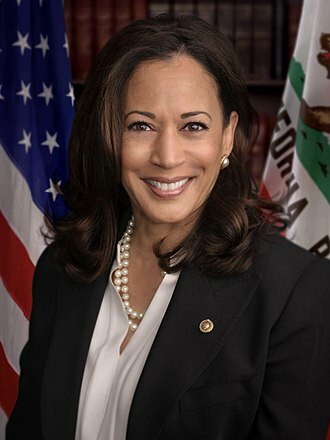 Born in Foresthill, California in 1977, Wicks graduated from Placer High School in 1995 and she graduated from the University of Washington in 1999 with a B. A. degree in political science and history. As one of the early hires on the 2008 presidential campaign for Barack Obama, Wicks was active in grassroots mobilization and she ran various state operations during the primaries and general election, including in California and Missouri. Wicks was tapped by President Obama to serve in the Executive Office of the President as the Deputy Director of the White House Office of Public Engagement, in 2012, she joined President Obama’s re-election effort and served as the National Director of Operation Vote. She was responsible for mobilizing voters in demographic groups including African American, women, from 2014-2015, Wicks transitioned the super PAC Priorities USA Action from into a pro-Hillary Clinton vehicle and served as its Executive Director. 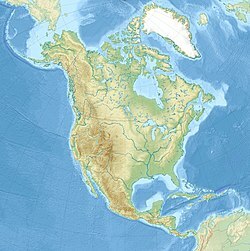 The North American Numbering Plan is a telephone numbering plan that encompasses 25 distinct regions in twenty countries primarily in North America, including the Caribbean and the U. S. territories. Not all North American countries participate in the NANP, each participating country forms a regulatory authority that has plenary control over local numbering resources. The FCC serves as the U. S. regulator, Canadian numbering decisions are made by the Canadian Numbering Administration Consortium. The NANP divides the territories of its members into numbering plan areas which are encoded numerically with a telephone number prefix. Each telephone is assigned a telephone number unique only within its respective plan area. The telephone number consists of a central office code and a four-digit station number. The combination of a code and the telephone number serves as a destination routing address in the public switched telephone network. For international call routing, the NANP has been assigned the calling code 1 by the International Telecommunications Union. The North American Numbering Plan conforms with ITU Recommendation E.164, from its beginnings in 1876 and throughout the first part of the 20th century, the Bell System grew from essentially local or regional telephone systems. 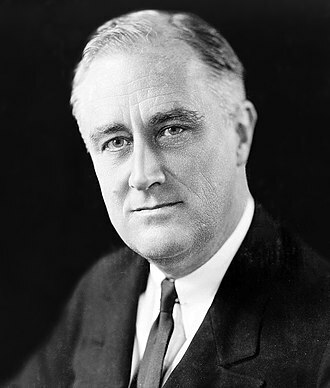 These systems expanded by growing their subscriber bases, as well as increasing their service areas by implementing additional local exchanges that were interconnected with tie trunks and it was the responsibility of each local administration to design telephone numbering plans that accommodated the local requirements and growth. As a result, the Bell System as a developed into an unorganized system of many differing local numbering systems. 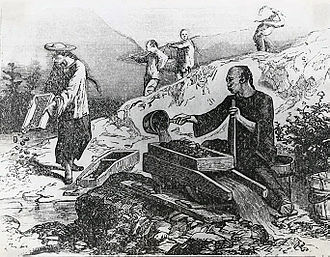 The diversity impeded the efficient operation and interconnection of exchanges into a system for long-distance telephone communication. The new numbering plan was accepted in October 1947, dividing most of North America into 86 Numbering Plan Areas. 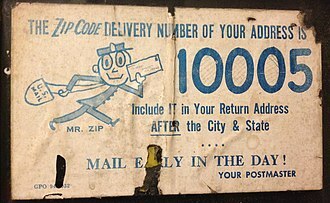 Each NPA was assigned a Numbering Plan Area code, often abbreviated as area code and these codes were first used by long-distance operators to establish long-distance calls between toll offices. Barbara Jean Lee is the U. S. Representative for Californias 13th congressional district, serving East Bay voters from 1998 to 2013 during a time when the region was designated Californias 9th congressional district and she is a member of the Democratic Party. She was the first woman to represent the 9th district and is the first woman to represent the 13th district, Lee was the Chair of the Congressional Black Caucus and was the Co-Chair of the Congressional Progressive Caucus. 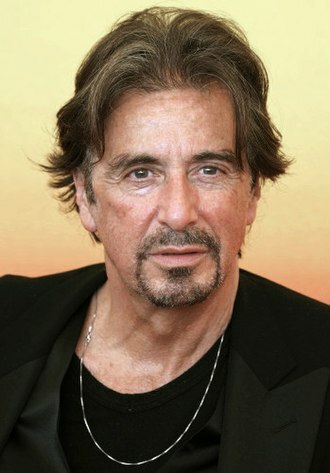 Lee is notable as the member of either house of Congress to vote against the authorization of use of force following the September 11,2001 attacks. This made her a hero among many in the anti-war movement, Lee has been a vocal critic of the war in Iraq and supports legislation creating a Department of Peace. Lee was born Barbara Jean Tutt in El Paso, the daughter of Mildred Adaire and Garvin Alexander Tutt, according to a DNA analysis, she descends primarily from the people of Guinea-Bissau and Sierra Leone. She moved from Texas to California in 1960 with her military family parents and she was a young single mother of two receiving public assistance when she began attending college. Lee was educated at Mills College, and received an MSW from the University of California, Berkeley, as a student, she was a volunteer at the Oakland chapter of the Black Panther Partys Community Learning Center and worked on Panther co-founder Bobby Seales 1973 Oakland mayoral campaign. Lee was a member for United States Representative Ron Dellums and a member of the California State Assembly. She ran for Congress in an election that created a year-long series of five special elections as various East Bay politicians vied for political office. She warned her colleagues to be not to embark on an open-ended war with neither an exit strategy nor a focused target. In granting these overly broad powers, the Congress failed its responsibility to understand the dimensions of its declaration, the president has the constitutional authority to protect the nation from further attack, and he has mobilized the armed forces to do just that. The Congress should have waited for the facts to be presented and this vote made nationwide news reports and brought about a large and extremely polarized response, with the volume of calls gridlocking the switchboard of her Capitol Hill office. 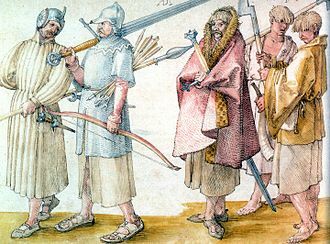 The word is of Scandinavian via Middle English derivation, and is today used by archaeologists worldwide to describe any kind of feature containing waste products relating to day-to-day human life. They may be convenient, single-use pits created by groups or long-term. These features, provide a resource for archaeologists who wish to study the diet. Middens with damp, anaerobic conditions can even preserve organic remains in deposits as the debris of daily life are tossed on the pile, each individual toss will contribute a different mix of materials depending upon the activity associated with that particular toss. During the course of deposition sedimentary material is deposited as well, different mechanisms, from wind and water to animal digs, create a matrix which can be analyzed to provide seasonal and climatic information. In some middens individual dumps of material can be discerned and analysed, a shell midden or shell mound is an archaeological feature consisting mainly of mollusk shells. The Danish term køkkenmøddinger was first used by Japetus Steenstrup to describe shell heaps, a midden, by definition, contains the debris of human activity, and should not be confused with wind or tide created beach mounds. Some shell middens are processing remains, areas where resources were processed directly after harvest. Some shell middens are directly associated with villages, as a designated village dump site, in other middens, the material is directly associated with a house in the village. 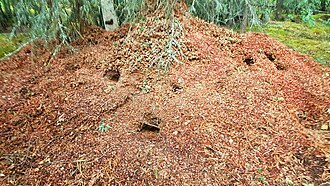 Each household would dump its garbage directly outside the house, in all cases, shell middens are extremely complex and very difficult to excavate fully and exactly. The fact that they contain a record of what food was eaten or processed and many fragments of stone tools. Shells have a high carbonate content, which tends to make the middens alkaline. This slows the rate of decay caused by soil acidity. Shell middens were studied in Denmark in the half of the 19th century. The Danish word køkkenmødding is now used internationally, the English word midden derives from the same Old Norse word that produced the modern Danish one. Members of the Muwekma Ohlone tribe attend a proclamation of the first official Indigenous Peoples' Day in San Francisco, October 2018. The Berkeley Hills as seen from CA 24 near Orinda. Oakland and the Bay from Grizzly Peak Blvd.